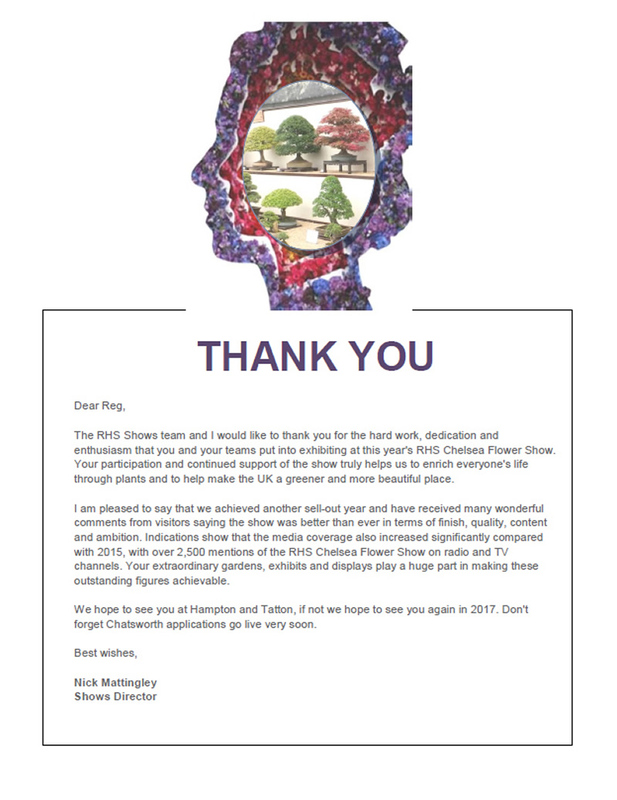 Another fantastic year at Chelsea; what a wonderful show, fantastic that we FoBBS, thanks once again to the single minded and dedicated enthusiasm of Reg Bolton, a man of advanced years, older than most of us, who worked tirelessly, rising before 6:00 a.m. each day and reaching his bed late at night to ensure that Fobbs received a Chelsea Gold Medal. 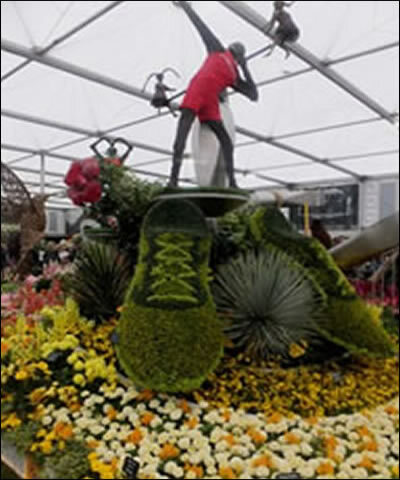 What an epitaph - 16 Chelsea Gold Medals to his credit and over £7,000 into Fobbs accounts, who else can claim that? Facebook once again the source of vitriolic embittered comments of a man who has dedicated his life to FoBBS and from people who have never lifted a finger to help anyone but themselves. 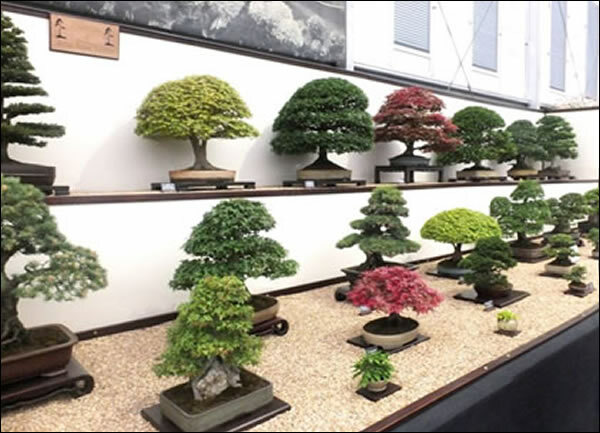 The trees, making up this superb display are a range of species including Chinese Elm, Chinese Juniper, Deshojo Maple, English Elm, English Yew, Kiyohime Maple, Korean Hornbeam, Ligustrum, Mountain maple, Siberian Elm, Trident Maple, White Beech and White Pine; these were collected from members of member clubs from around the country, they made up a first class display for a Gold Award. 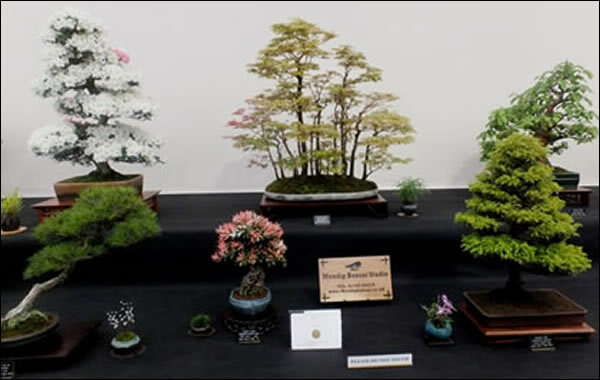 Watch television if you do not know how difficult it is to achieve a Gold Award. 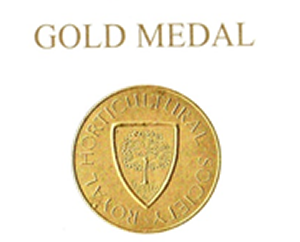 Dedicated commercial growers work for years, in fact almost their whole lives and are grateful to get Silver Gilt, let alone Gold upon Gold. 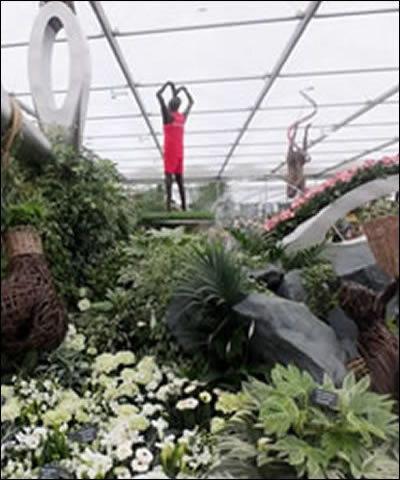 How lucky we are to have such a man as Reg Bolton working for us…… and who is going to take upon the perfectionist mantle when he finally has to give way to time and retire? 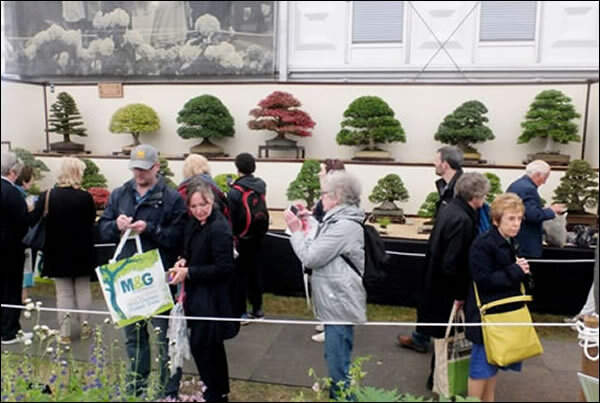 Thousands upon thousands flocked around to admire the trees, to show their appreciation, albeit if that included a fair few of the inevitable naive questions. Even if frozen and desperate to get to a warm cup of coffee I could not but be exhilarated by the enthusiasm of people from all parts of the world. Wednesday proved an unseasonable but rewarding day. 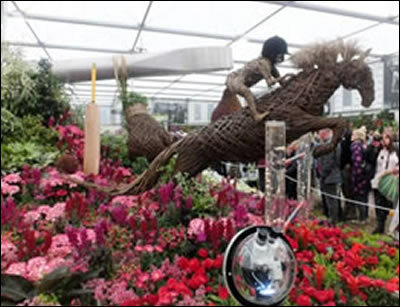 Perhaps other members of FoBBS clubs would like to volunteer for a great, if tiring day at the world’s most prestigious Flower Show? 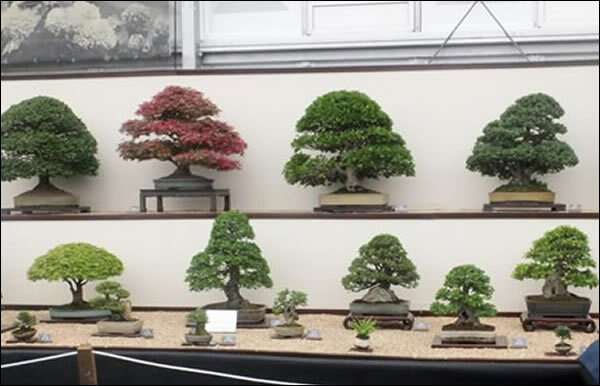 I must conclude by thanking not just Reg but all those who helped over the previous weekend to build the stand and those came from all around the country to do their stints on duty at the Show. Maybe it was cold but what other opportunity do we get to see such a Show (and you are not on duty all day). 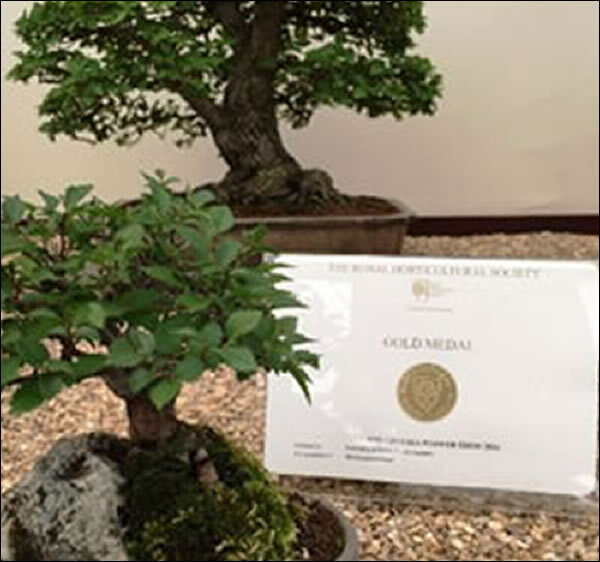 Mendip Bonsai - John Trott, Gold Award stand.